The filters on the lower left menu select for date, use (e.g. diagnostic), type (e.g. quackery), media (e.g. books) and state (archive, new or for sale). They can be used in isolation, within a speciality or a search, or with both. 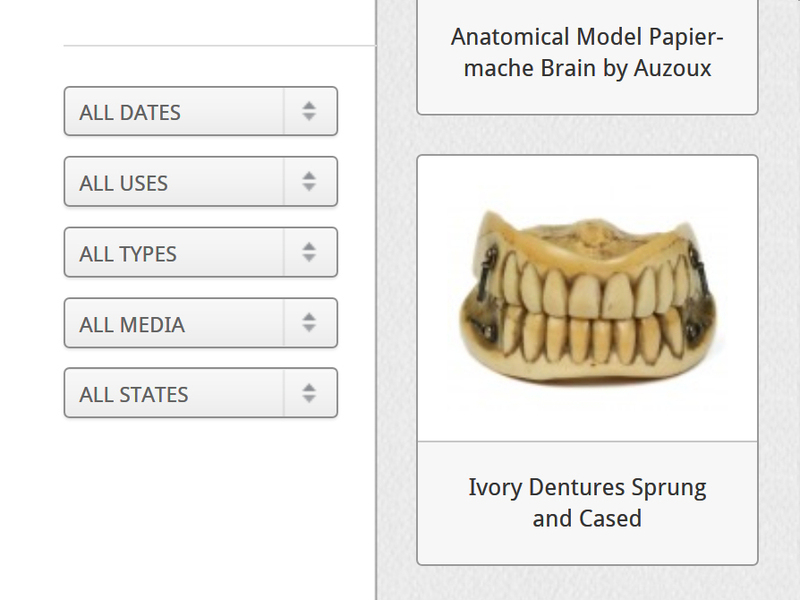 So if you were to select surgical items, apply a filter for 1800-1899 and type into the search box “ebony OR horn” the search results would show all 19th century surgical items with either ebony or horn in their description. 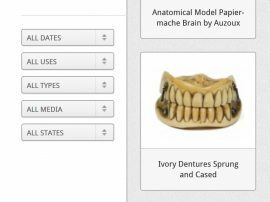 By default the site shows ALL items both archive and non-archive and the filters allow users the option of showing just one or the other.